Home - Alpha Glyph Publications Ltd. Dedicated to self-publishing, we help you self-publish, too. Independent, personal, and DIY are only some of the words describing the approach Alpha Glyph takes to the creation and delivery of the many expressions of life in the 21st century. 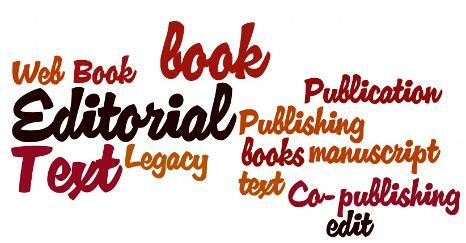 At Alpha Glyph we recognize that books are not the only means of publishing. We offer book formats (print and ebook) as well as website help for your ongoing personal publishing. At Alpha Glyph we work personally with you to bring your publication from idea into reality. We're all about entrepreneurial publishing! We help you pull your materials together and publish your book yourself. All our services are strictly confidential. Your book is your own. We provide the most trusted book coaching and most innovative publication service in the lower mainland. We offer as much or as little support as you need to bring your work to life. Your work + our expertise = publishing success. Professionals: Bring your expertise into high focus with a book, blog or interview to accompany your consulting, lectures or workshops. Writers: Finally produce that book you have always wanted to write. Artists: Compile a comprehensive overview of your artwork. Families: Create your legacy: gather your treasured letters, memories and photographs into lasting media for generations to come to enjoy. We will help you define your publishing concept. Bring us your ideas and we will add our expertise to any phase of your publication planning. Let us be your first reader! Bring your manuscript for consultation and evaluation. From an intimate supportive atmosphere to detailed project management, Alpha Glyph has just what you need to get your work into publication. Contact us for rates tailored to your particular project. We offer reasonable packages as well as hourly rates. Website, blogging, social media? We can help you get started, and help you publish whenever you're ready. Work out your thoughts, gather your audience. Media? We can help you define your content and produce your finished work - delivered as downloads online. Consulting on request. Education? We help you prepare and deliver course materials easily online. Located in Vancouver's historic Gastown district. It's time: start publishing today.